Bangladesh on Thursday sought India’s support for the speedy repatriation of Rohingya refugees to Myanmar, a sensitive issue that Dhaka has raised several times with New Delhi since last year. Visiting Bangladesh foreign minister AK Abdul Momen raised the matter during a meeting with Prime Minister Narendra Modi, who, according to an Indian statement, said bilateral ties have been on an “upward trajectory”. 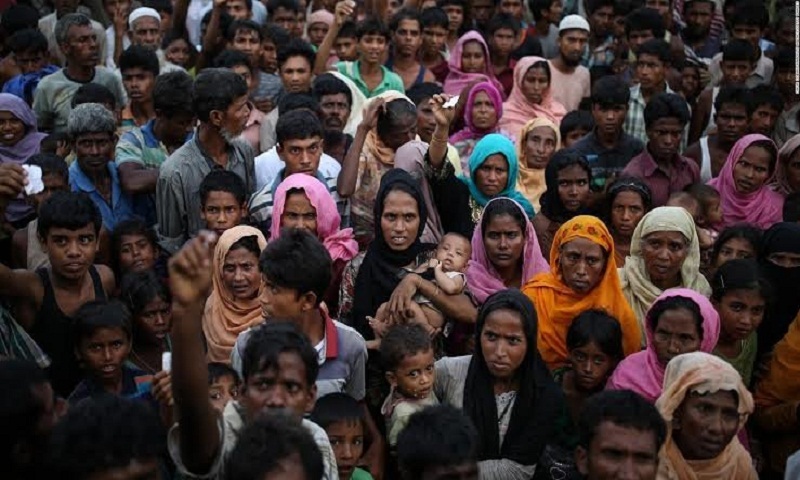 A separate statement from the Bangladesh high commission said Momen “requested India’s support for early repatriation of the Rohingya to Rakhine state of Myanmar”. The Bangladeshi statement quoted Modi as saying that “India is always with Bangladesh” and that he “assured of India’s cooperation in this regard”. Momen also discussed the matter during a meeting with former PM Manmohan Singh, who said the early repatriation of the Rohingya refugees is a priority. There was no official word on the matter from the external affairs ministry. In 2017, India had announced $25 million as developmental aid for Rakhine, including a project to build 250 homes for displaced people. Last year, it signed two pacts for capacity building and economic development in Rakhine. However, India has been reluctant to play a public role in the repatriation of the hundreds of thousands of Rohingya who sought refuge in Bangladesh after a military crackdown by Myanmar because it enjoys good relations with both countries.